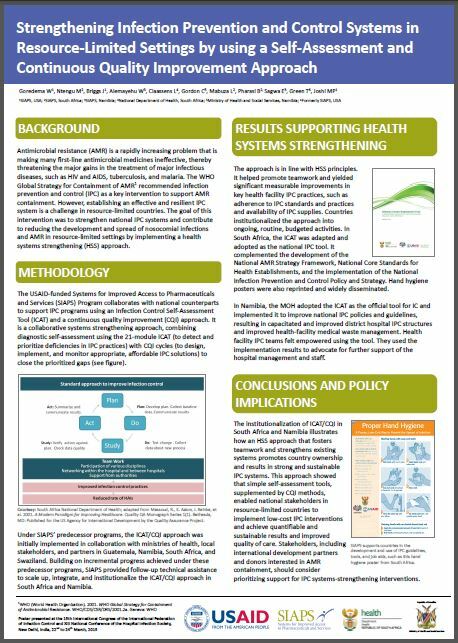 Strengthening Infection Prevention and Control Systems in Resource-Limited Settings by using a Self-Assessment and Continuous Quality Improvement Approach. Presented at the 15th International Congress of the International Federation of Infection Control. Fight Antimicrobial Resistance or Go Back to the Pre-Antimicrobial Era. Presented at the 2015 USAID Global Health Mini-University. Country and regional-level advocacy and coalition-building against antimicrobial resistance. Presented at the 143rd American Public Health Association (APHA) Annual Meeting. 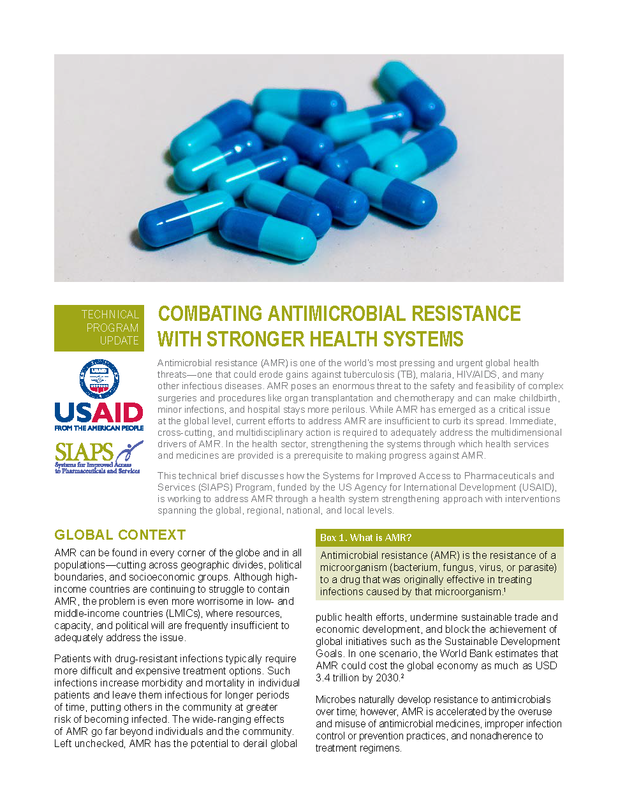 Containing Antimicrobial Resistance to Realize the Goals of Universal Health Coverage. Presented at the Ecumenical Pharmaceutical Network (EPN) Forum 2016. Strengthening preservice pharmacy training on rational medicine use, antimicrobial resistance, and pharmacovigilance. The Antimicrobial Resistance Challenge: No Room for Complacency. Presented at USAID in Arlington, VA on November 9 2017. 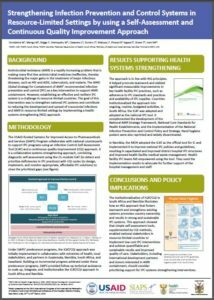 Advancing the Antimicrobial Drug Quality Agenda through Coalition Building: Lessons from AMR response. Presented at a side event during the 2018 Prince Mahidol Awards Conference on the theme “Monitoring and Improving Medicines Quality through AMR National Action Plans”.